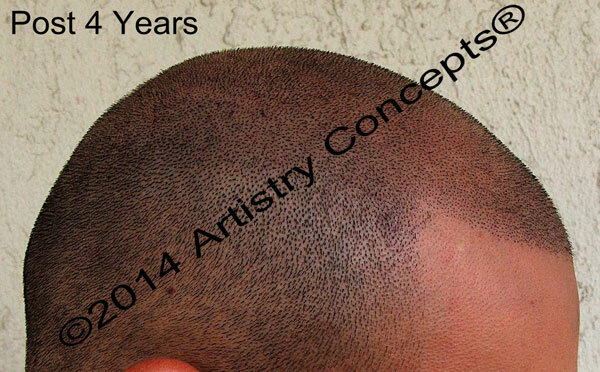 Artistry Concepts was established in 2009 and is one of the world’s longest established scalp micropigmentation providers. Offering their services from a single location in Fort Lauderdale, Florida, Artistry Concepts owner Mark Weston has produced some incredible results over an extended period of time and is one of the leading scalp micropigmentation technicians in the world. 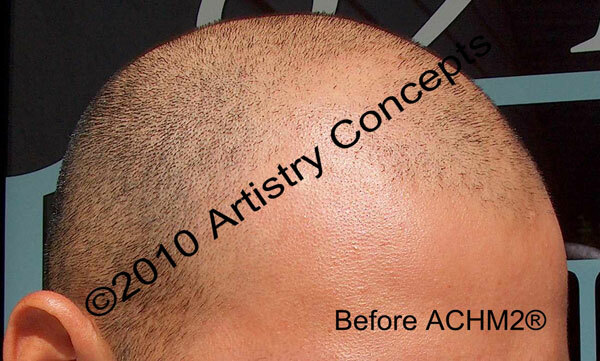 It is fair to say that Artistry Concepts may not be the most well known of the various scalp micropigmentation providers. Based in Fort Lauderdale, Florida, Artistry Concepts operates from a single location and their work is completed by a single practitioner, in stark contrast to other companies that advertise far and wide, and have teams of staff spread over multiple locations. What you may not be aware of however is that Mark Weston, owner and founder of Artistry Concepts, first established his company in 2009 and is one of the longest serving providers in the business. In the hair loss industry, dealing with a company you can trust is a real bonus, so their longevity definitely swings the scales in their favor in that respect. What does Artistry Concepts offer that is different? Artistry offer a number of unique aspects to their service that they believe makes their process more likely to achieve a favorable result. This includes innovations such as custom made needles that are finer than those used by other companies, “smart” pigments that are guaranteed to not change color and are easier to remove by lazer, and a promise that all procedures are completed by Mark Weston himself rather than by other employees. We can certainly see the benefit of these differences in service. Many people who consider SMP express concerns about the realism of the treatment, particularly in the areas of dot size and blending with their natural hair. If Artistry Concepts innovations are able to address these concerns, then there is a strong likelihood that many people may choose this company over their competitors in the pursuit of the most realistic result possible. What is the ACHM2.5® technique? 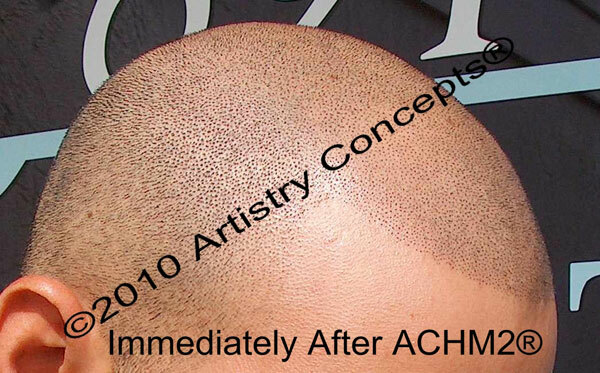 ACHM2.5® stands for Artistry Concepts Hybrid Method, and is their version of the scalp micropigmentation technique. Although I am prepared to be corrected on this, I believe the primary differences between ACHM2.5® and treatments offered elsewhere are that Mark uses finer needles, their own SMART pigments and that the procedure is completed in a single session. An SMP treatment completed in just one session certainly makes the procedure more accessible to more people. Depending on where the customer is based, multiple journeys and hotel stays must be factored into the total cost, not to mention time off work and multiple periods of ‘settling’. 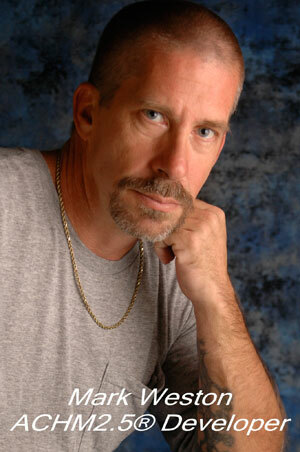 A single session treatment means one visit, one settling period and a significant drop in overall cost for many. The base colors in Artistry’s SMART pigments are derived from an organic powder base, and individually mixed to match your hair color and compliment your natural skin tone. These unique pigments are permanent lasting 20 years or more, but were engineered to continually naturally blend should your own hair start to gray in later years. Ultimately its the same technique based on the same principles, and we firmly believe that the most significant factor in the success or failure of any scalp micropigmentation treatment is the skill of your practitioner. With this in mind, the fact that Artistry’s clients are guaranteed to be treated by the owner and founder Mark Weston is a real plus. However in addition to practitioner skill, AC’s innovative needles and pigments promise to deliver further enhancements for a superb end result. Are there any reviews of Artistry Concepts work? There is a number of independent reviews on Yahoo Local, showing consistently positive feedback over an extended period of time. After a month or two of research this summer, I made the decision to get the ACHM2 procedure with Mark at Artistry Concepts and boy am I glad I did. It is a night and day difference to me but natural to the point where no one has noticed, even my mother was amazed when I told her. I used to have to shave every two days or so with no guard before my balding became glaringly noticeable, but now I can go almost two weeks as the ACHM2 and my own hair blend together. I wish I would have done this a few years ago and as a single guy I noticed right away that the positive reaction I was getting from the ladies was noticeably increased. I have received comments the last couple months since the procedure on how good I look but no one has been able to pin point what’s different. Thanks again Mark and Gale! The age-old advice of doing your homework still applies, so as long as the company is able to offer examples of their work during the consultation process and all your questions are answered satisfactorily, we see no issue. The photographs that AC do publish are very detailed and appear to show their results without any enhancement or manipulation. We know that one or two other providers enhance their images to show their results in a more positive light, but we do not believe Artistry are doing this. What they are showing appears to be the real deal. Would we recommend Artistry Concepts? 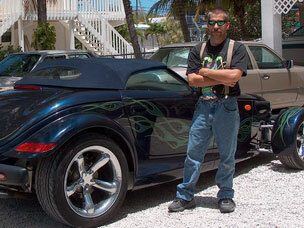 Yes, on the basis that more photographic evidence (specifically larger photos) is made available upon request. I am aware that the company has had issues in the past with competitors stealing their photographs, so it is understandable that they would want to keep a tight rein on their intellectual property. On the face of it, Artistry Concepts should be an excellent choice of provider as they are long-established, you’re guaranteed to be treated by the owner and they certainly appear to know what they’re doing.